A personal computer has become a need for every household these days. Preferences vary between laptops and desktop computers though. A laptop might offer great convenience with the mobility factor but when it comes to processing hard-core graphics, a desktop is the way to go. You get to enjoy better performance as the components designed for desktops are relatively larger and offer better ventilation as well. With this guide, we intend to inform you regarding the various components, which will go into your system along with the assembly of putting everything together in its proper place. Doing it yourself might seem a bit too much in the beginning, but once you begin gathering the individual components the entire process is sure to become exciting and rewarding at the same instance. So without further ado, let us begin. The very first step you need to consider is the type of casing you want for your computer system. The casing serves as the exoskeleton, which will host a wide variety of components in itself. Some people base their casing decision on aesthetics like fancy RGB lighting options but that is mostly restricted to gamers. You need a casing spacious enough so that it will host some extra space for future enhancements. Let’s say you want to add an extra mechanical hard disk for enhanced storage space sometime in the future. Well you case should be well suited for that cause. Also, more formidable graphics cards as well as your power supply will require ample physical space which your casing ought to provide. Keep in mind the various USB ports and switches offered in any specific casing and see if that suits your room setting and requirement. This might seem like a small thing but such small things can add towards major convenience in the longer run. Now that you know what sort of casing suits you, let us consider how much power you need to fuel your computer system. Your power supply is the primary source of electrical power, which is distributed via wires from the power supply to all the attached components. The best way to choose a power supply is to study your system’s energy requirement beforehand. There are a number of online energy calculators available where you can put in your individual components for a cumulative energy score. A practical advice is to go for a power supply, which is at least 100 watts above your requirement to save your system from any damage. This would also give your power supply the breathability to support stronger components for some future enhancements. A motherboard is precisely what its name suggests. It is the primary board, which hosts a wide array of attachment slots from where power is driven to various components. Some parts like the RAM are directly inserted into their designated slots on the motherboard. An important aspect to keep in mind with respect to motherboards is the connectivity options they offer. If you are opting for a budget driven desktop, it is advisable to choose a motherboard, which offers future enhancements. With the ever-advancing technology, the fear of components being outdated is ever looming. That also comes with a blessing in the form of cost cuts. Therefore, choosing a motherboard that was released a couple of years back might be the right approach. So now, we come down to the key processing unit of your pc. The processor is responsible for handling various commands given to the computer and is the core of your pc to say the least. A capable processor when supported by formidable components will allow any command to run seamlessly, be it a work related task or playing a game. The market currently gives the option to choose between two major manufacturers, either Intel or AMD. Intel has earned itself quite a reputation by giving out quality processing units especially during the last few decades. AMD on the other hand is quite capable as well, but it isn’t as famous as Intel. That being said, some of the options offered by AMD surpass those of Intel and that with a price cut, so be sure to check both the options out individually. 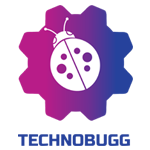 We always have the internet at our disposal therefore an effective practice is to check the pros, cons and capabilities of various options before making a decision. The primary metric for defining the capability of a processor is the frequency, which is measured in hertz (Hz). A decent processor would lie somewhere above 2GHz for a single core but this could very well vary when we consider processors with multiple cores which are the primary norm these days. Processor and GPU’s are usually those components, which you might be replacing in the future for upgradation purposes since new models pop up every now and then. An important aspect to remember with your processing units including the GPU is that when you face stutter or lag during online activities, people might suggest that you need to upgrade these units. This isn’t always the case. For instance if you consider online streaming or gaming activities, the true problem could lie with the inability of your internet connection. Therefore, it is important that you make sure that you have something dependable like at&t internet to support your cause. When the internet issues are resolved, then you can move on towards the component problems. Exclusive graphics processing units (GPU) have become more of a necessity rather than a luxury these days. With the ever-increasing graphic demands of various software these days, the overall processing takes a major toll on your processor, which is where the graphics card comes into play. These days, a number of prebuilt computer options come with loaded graphic cards due to their dependability. For audiences who indulge in high graphic processing activities like using Adobe Shockwave, Photoshop and related software, a high-end graphics card is a must-have. The two primary graphic card manufacturers are AMD and Nvidia. AMD is considered somewhat of an old school option and its GPU’s are considerably expensive as compared to those offered by Nvidia. Nvidia offers better heat dispersion, sleek designs and lower prices, which is why their cards are getting more popular by the day. Your Random Access Memory (RAM) is responsible for storing data temporarily while it is being processed and transferred within your computer system. In general, the higher the RAM, the faster your computer is, up to the capabilities of your RAM and processing units combined. Not just the size of the RAM though, the make and model of your RAM is also an important factor. Current generation options are visibly faster than their previous models. If you have a dependable processor and a GPU installed, but don’t have sufficient RAM to support those components, it will inversely effect the overall performance of your CPU. For an estimate, in a current generation computer system, you RAM should be around 8 GB’s or more to support your system. There are a number of renowned companies, which offer RAM sticks such as Corsair, Micron, Kingston and Samsung. If you feel more loyal towards a certain brand, there is no harm going for that. Do check out the underlying issues that the online PC community faces with certain brands because you don’t want your investment to go to waste. Hard drive represents the physical storage space in your computer. Everything that is stored in your computer goes into your hard disk. When considering which hard drive to opt for your system, you need something that offers a good combination of space and speed. The speed of a hard disk is calculated in RPM (Rounds Per Minute). The standard speed these days is either a 5400 RPM hard drive or a 7200 RPM version, of which the latter is preferred. The changing technology trends have also introduced us to SSD’s (Solid State Drives). These hard drives are considerably expensive in comparison to their counterparts and offer great speeds and data safety. Since these don’t store data through a rotating disc and use optical procedures instead, the transmission speed increases manifolds. The most effective approach these days is to couple an SSD with a standard hard disk. The SSD can be used for booting purposes while the second hard can provide the vast data storage space. The next major component to consider is your display unit. There are a number of monitors available, which offer amazing features that can add immersive detailing to your display. Your monitor choice will largely depend on what you intend to do on your computer. If you indulge in gaming, video editing or other high graphic demanding activities, it is highly suggested that you choose a display with 60 Hz or more refresh rate. Then comes the debate between going for an IPS panel or a traditional frame. You could choose an option which offers both an IPS panel and a high refresh rate but these would be more costly. Therefore, it is important that you keep a check on your wallet and then form the right decision. There are a number of other components involved in your setup as well, like a dependable keyboard, mouse and speakers but these are mostly plug and play and choosing one depends entirely on your own preference. You might have to choose between wired and wireless connectivity options so make sure that you have a wireless receiver installed in your system. A number of devices include their own receivers in the packaging so you do not have to worry about it much. Now since you have decided on all the major components needed for your computer system, it’s time to start putting everything in place. Before moving any further with this, always remember that you can ask a professional to assemble your computer system for you. However, doing it yourself (DIY) has its own charm and merits and in technical terms, you learn a lot from such experiences. That being said, there are underlying factors where inserting something wrong or improperly can cause your system to have problems which might end up taking a financial toll on you as well. Since you have decided to assemble your own PC, there is a high probability that you are a tech savvy person so you would know some of the basics regarding handling tools such as screwdrivers and know how to play around with nuts and bolts (no pun intendedJ). 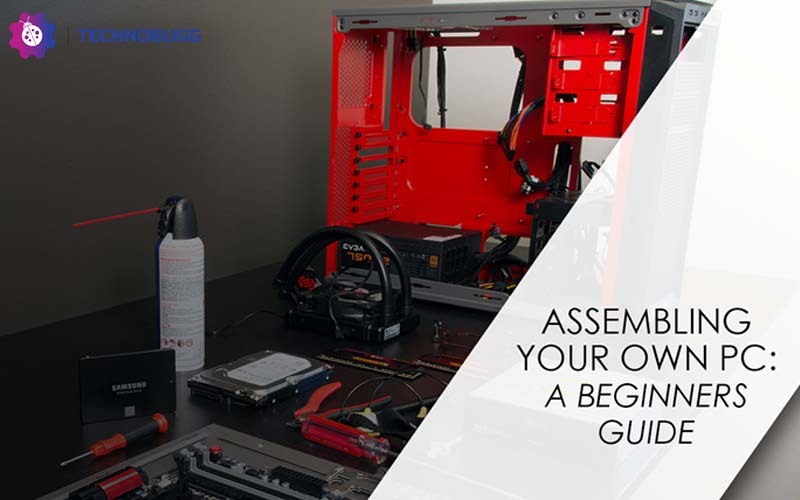 Let us guide you through some basic steps, which will help you assemble your very own PC. You can also refer to various PC assembling videos on YouTube like the one linked here by Bitwit channel to help you through this journey. Now it’s time to prep up for the assembly. Consider yourself as a chef who is about to cook something interesting. The first thing you need to do is to place everything in front of you, which is going into the assembly. That includes all the individual components that will go into the casing with their protective seals and covers properly removed. Avoid doing the unpacking on a carpet since the surface could generate a minor static current that could be hazardous to sensitive equipment. Another thing to consider is keeping a plate or a bowl nearby so you can put in various bolts and nuts in it while performing the fixtures. Your power supply would be responsible for providing power to various components so it’s advisable to deal with it early on especially when your casing has ample space to fit it in. identify the vent space at the back of your casing and there should be a physical support against that vent on the internal side. Gently put the supply in with the fan facing the external vent. This fan would be responsible for channelling out the accumulated heat and will keep your system cool. Secure the power supply in its place with screws provided in the packaging. There would be a mesh of cables extruding from the supply and you can just drape them to a side so they wouldn’t restrict your work during the rest of the installation. Your processor chip with be installed directly into the motherboard. Its more convenient to pre-install components into the motherboard before putting it into place as you have more breathability outside your casing. Your processor is one of those components that you can insert into the motherboard beforehand. There is a built in lever for both AMD and Intel options these days through which you can lock the chip in its designated slot. Use the directional arrows printed on the socket to align the chip in the right direction. You might have to insert it in with a firm yet gentle press and once you’re done with that, lock the processor in place by closing the lever just like it was before you opened it. There is generally a cooling fan on top of your processor and it comes with a power wire, which has to be inserted into the motherboard. Read the manual on your particular motherboard and with that you can easily attach the fan with the power outlet. Inserting RAM into your motherboard is quite simple. There are small clips present around the designated RAM slots that can be opened and closed simply by pushing them. Locate the RAM bay and insert your RAM stick into the slot. Press it down gently and once the RAM is in its proper place the clips you opened will automatically revert to their closed setting therefore locking the RAM stick in its place. Multiple RAM sticks can also be installed by inserting them individually in the provided places. Remember than you might have to configure multiple RAM sticks in an order so that they are recognized by the computer system. For instance, if you leave a sequence number, your RAM might not be recognized. This can be avoided by identifying the primary RAM slot and installing additional ones in succession after that so you don’t leave an empty slot in between. The most important component which goes into your computer system is the motherboard. A number of casing options include motherboard risers that keep it elevated from the metallic casing. If not, risers are externally available as well. You need to identify the proper slots and install them into the casing by putting in screws in the designated slots. Put the motherboard gently into its place by pushing out the rear panel ports through the designated openings in the I/O plate. Once you are sure that the motherboard is installed in the right place, you can simply put in and tighten all the provided screws in their designated slots. Your graphics card goes into the visibly largest PCIe slot available on your motherboard. The slot on the motherboard will probably be covered and you would need to unscrew that in order to place in the GPU. The back plate of your card needs to be properly aligned with the designated slot. Push the card down in its slot till you hear the clicking sound which signifies that the card is in place. Sometimes, the size of the card is larger than the slot available for which you might have to open up multiple slots to provide the required space. With many new casings, you have designated slots for installing various drives into your system. Many drives comes with their own set of screws through which they can be installed into proper places. If no proper slots are available, even then you have designated support trays and elevations which can help you identify which goes where. Remember that casings usually have ample space available to support multiple drives so it’s your call to use the right slot efficiently where every component fits in and there is still some breathability space available for proper heat transfusion. Now that every component is installed into the designated place, you need to link everything together. Cables from all the individual drives need to be attached to their designated slots on the motherboard. The mesh of cables coming out from the power supply need to be attached to the respective drives and the graphics card as well. A tidy interior of your casing is indeed pleasing so make sure that you route your wires the proper way. Many casings will offer you connection points with added clips to help you route various cables properly. Overheating is a major concern, especially with gaming PCs so a well sought out cable network will help in that regard. The final part to consider is connecting all the wires. The motherboard power fins have specifically mentioned power points where you can attach your processor fan, chassis fan, aux fan and so on. USB ports on available throughout the casing all have their individual wires, which you need to connect to the motherboard outlet. So one of these might go directly into the small cable outlets provided with the power supply. Finally, you need to connect the lighting and power wires for the front panel to the motherboard. These will include the power up and the restart buttons as well. Finally, you can start your computer system and listen to the engine roaring in all its glory. Gamers usually like to keep one part of the casing open for better heat dispersion as well as to enjoy the RGB lighting options. Go through your BIOS settings and tweak the settings according to your liking. To enter the BIOS menu you usually need to press F8 while the system the booting and from there on you can choose the booting sequence for various devices. If you plan to install Windows per say, you can choose your Super Drive as the primary device. Insert the provided disc, install, and register your Windows afterwards. Remember that you can always upgrade and replace individual components like your processor and GPU if your motherboard supports the upgradations. Check the provided manual or the one available online regarding your model for further info. The effort you expended in assembling your PC will definitely be worth it and now that everything is running smoothly, you can embark on a new journey with your PC. Robert James is an MIS with a vast experience and research in tech and entertainment industries. He also likes to write in order to deliver the latest news regarding these industries and enlighten audiences regarding the various happenings. Robert recently covered a story on the Warner Bros CEO Tsujihara’s Scandal which generated major hype. Besides this, he indulges in MMA fighting in his leisure time.